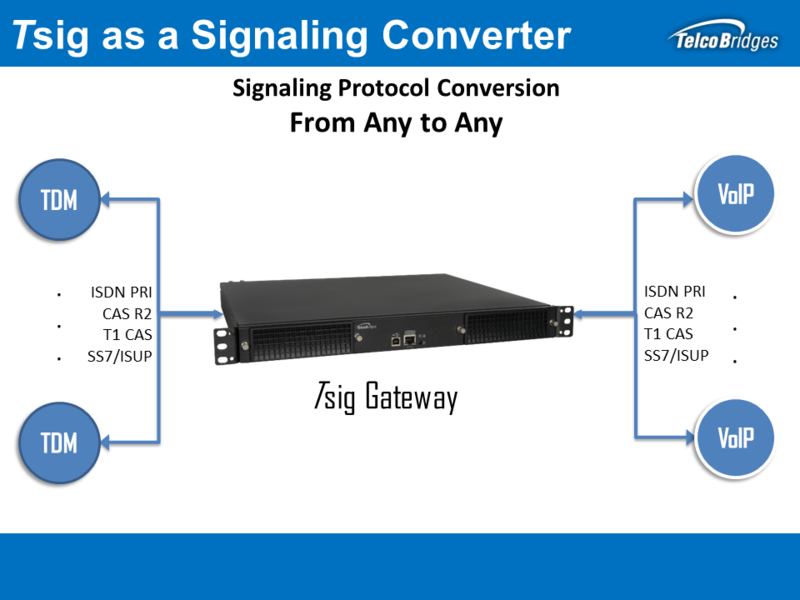 The Tsig Signaling Gateway & Converter can be used to extend SS7 TDM links over IP, thus granting significant cost savings by avoiding expensive dedicated TDM links. The use of an IP network to carry SS7 traffic also leverages the inherent redundancy & high bandwidth of today's IP networks. TelcoBridges Tsig Signaling Gateway & Converter supports SS7, SIGTRAN, ISDN PRI, CAS R2, and T1 CAS, and can covert from any protocol to any protocol. SCCP opcode routing with the ability to translate Global Title Translations.